We often receive calls from customers with lights blinking, or a power outage. The problem might not be in you electrical system but could be a PECO issue. 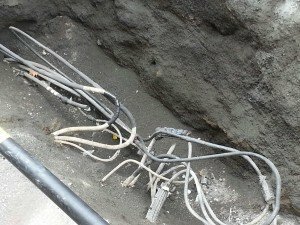 The main connections to the service in your business or home are usually connected on the exterior or underground. Sometimes these connections become loose due to corrosion or to expansion and contraction from the weather changes. 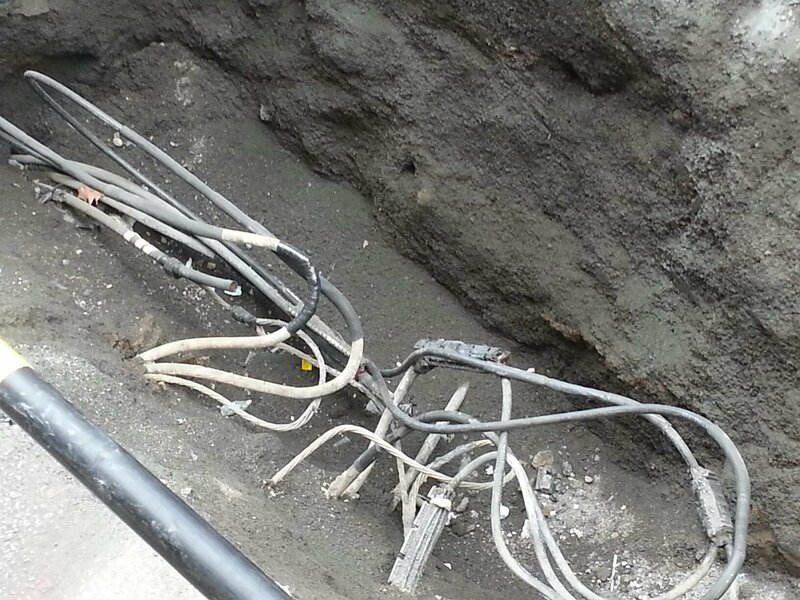 The image shows an underground service on the street that lost power that PECO had to repair. Any electrical issues where PECO attaches to your main electrical service and out to the street is PECOs responsibility. Before contacting Lauterborn Electric for a power outage or blinking lights contact your neighbors and also call PECO to see if they are having issues in your area. 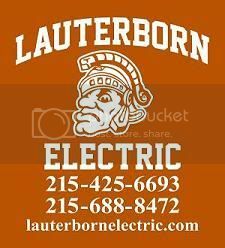 Once PECO establishes that it is an internal problem isolated to you then reach out to your licensed electrician Lauterborn Electric for a full evaluation of your main electrical system. Click Image to Enlarge.